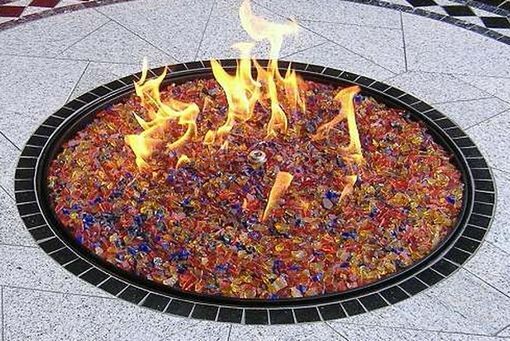 Our fire tables are both stylish and functional, with the option to convert from a table to a fire pit to an ice bucket with our interchangeable center inserts. 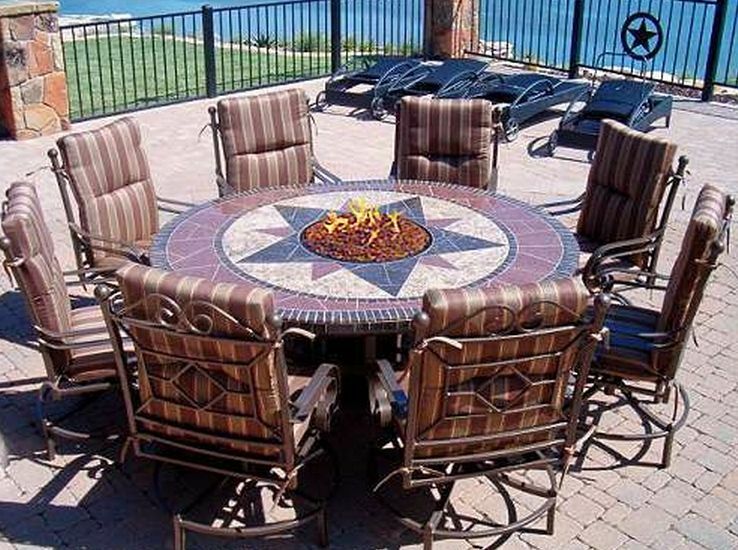 A rubber protective bumper around the underside perimeter of the top eliminates chair damage, so your table and furnishings will always be protected. Choose from our tabletop designs, or customize it with one of your own (custom inlays available). 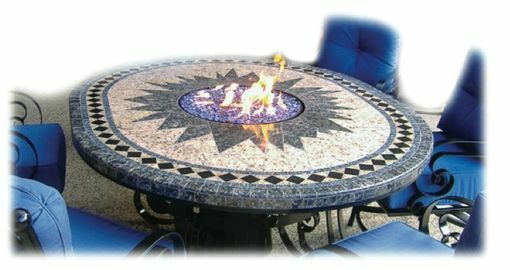 Our mosaics are hand-cut and hand-laid, using granites, marbles, porcelains and travertines. 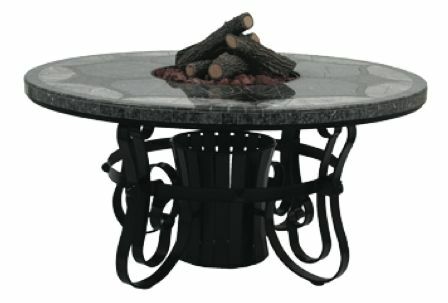 Once you have selected your tabletop design, choose from our powder-coated frame colors: hammered bronze, textured flat black or gloss poly black. We also offer three styles of base designs: Traditional, Universal and Contemporary. 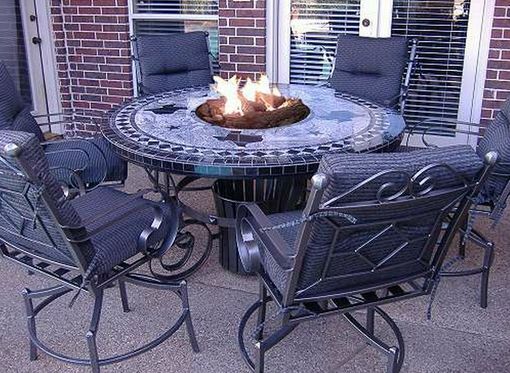 Adapt your table to match any season or event, exchanging your mosaic center plug for the 304 grade stainless steel burner pan and burner to convert your table to a fire pit. Choose from fire logs, constructed from refractory reinforced concrete and hand-painted for a natural look, or our decorative fire glass to complete the setting. Our burners are either propane or natural gas and supply 90,000 BTUs. For warmer weather, insert your 304 grade stainless steel ice bucket and enjoy the convenience of storing cool beverages right at your table.